Welcome to your Thailand Tour!!! Orient's most fabled city. Arrive at the Suvarnabhumi International Airport. After clearing Customs & Immigrations you will be met by our local representative next to the ATTA Counter and transferred to your hotel in Pattaya on Seat in Coach Basis. Check In at the hotel. Overnight at the hotel in Pattaya. • Enjoy breakfast at the hotel. •Today you will be picked up for a speedboat ride to the Coral Island Upon arrival you will be treated to a spectacular view of the island's coral reef on board a glass bottom boat, after a sumptuous seafood lunch. 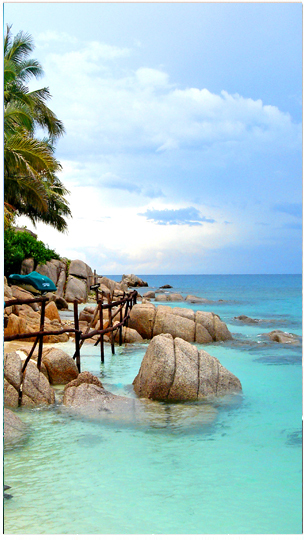 • The rest of the day is free for you to simply laze on the sandy beaches or take a dip in the turquoise blue waters. For the more adventurous indulge in parasailing, water scootering or skin diving at an extra cost payable directly. In the evening enjoy the Tiffany Show. Return to the hotel. •Overnight at the hotel in Pattaya. •Rest of the day is at leisure. •Overnight at the hotel in Bangkok. Check out of the hotel, you will be met by our local representative at the hotel lobby for your transfer to the Bangkok Airport for your flight back home.